These cute clips are made by wood with metal spring. The clips are adorned with star shaped parteen. Color available are: Pink,? Red, Orange, Green, Black, Blue, Yellow and Purple. Size: 3 x 1.9 x 1cm/1.2" x 0.7" x 0.4"(L*W*T). 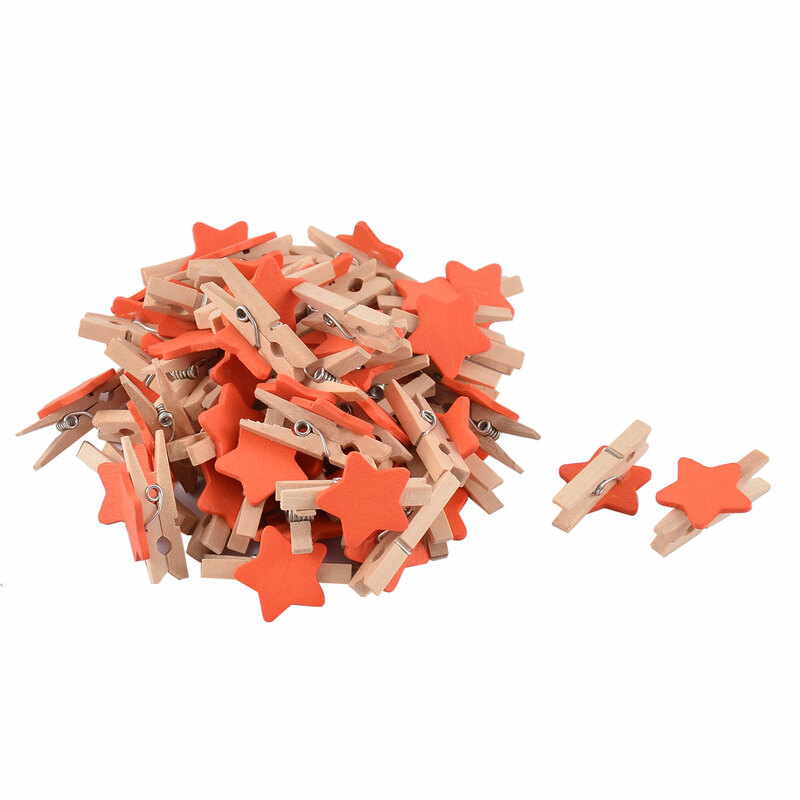 Package Content: 50(+/-2%) x Mini Wooden Clips.